Every Sunday I do the same thing wallowing in my own self-pity hungover listening to depressing music. It never helps pulling me though but like a sucker I go back time and time again in the hope things have changed. In reality I should be heading for songs like this. 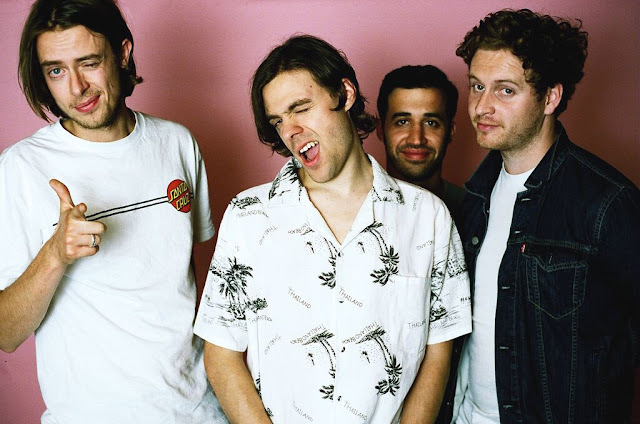 Returning with their latest single, Beach Baby make no mistake in rolling out some of the freshest guitar riffs I've heard in recent months. Filled with jaunty basslines and uplifting melodies, Limousine is far more suited to overcoming the hangover blues as its layers build in to an infectious pop perfected masterpiece. Check out the funky little number below. ‘Limousine’, which will be released November 16th through Handsome Dad.